STATE HOUSE, Entebbe – President Yoweri Museveni has said that dialogue is important to people with divergent ideas because it gives them a chance to listen to why the different political actors think the way they do and gives an opportunity to convince people to change their minds. The President made the remarks on Tuesday during the commissioning of the Uganda National Dialogue Process at State House Entebbe. He said that he was happy to take part in the national dialogue because he has been engaged in political struggles for the last 58 years. “It is a pleasure for me to be in dialogue with people with different views to tell them what and why we think. It is good to sit down and this is why I believe this,” he said. 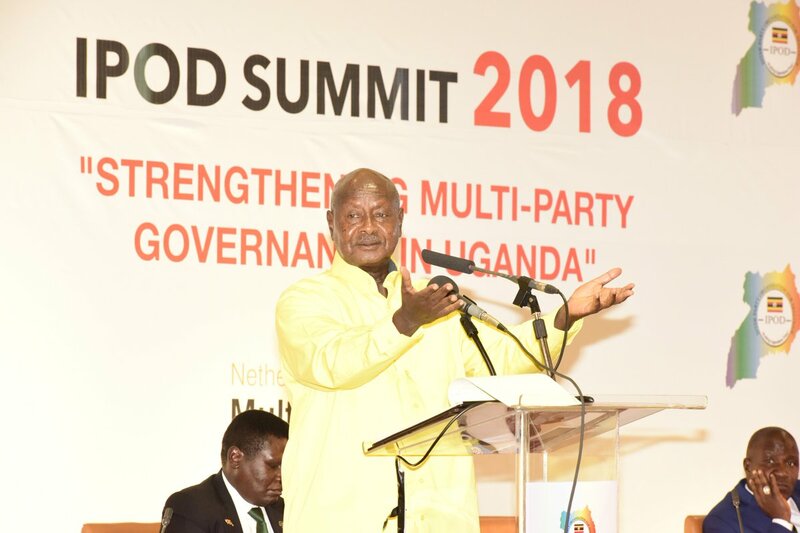 President Museveni said that the dialogue would provide an opportunity to expound on issues like identity, land management and diversity, which have been ignored by other actors. “The problem of Uganda has been groups that emphasize identity politics over interest,” the President noted. He said that the National Resistance Movement Government has distilled four principles: patriotism, Pan-Africanism, socio-economic transformation and democracy in order to overcome the past problems of the country. “The NRM government believes in patriotism: the identity of Uganda is more superior to the identity of Ankole,” he said. The President added that there was need to talk about Pan-Africanism in the dialogue. “If you do not talk about Pan-Africanism, I consider you a danger to Africa,” he said. President Museveni said that Pan-Africanism is important because it would broaden borders to help the economic transformation of Africa. “We recently had bumper harvests of maize but because we do not have a big manufacturing capacity and the border restrictions, we could not sell the surplus maize to Kenya which was importing maize from Brazil,” he said. 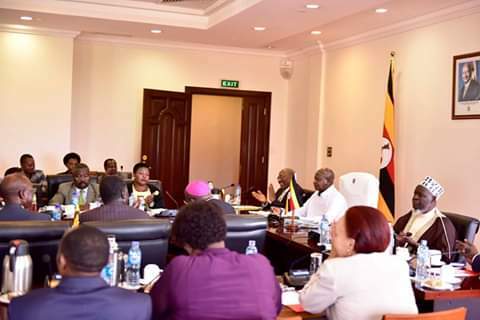 Sheikh Shaban Ramadhan Mubajje, the Mufti of Uganda and Chairperson of the Inter-Religious Council of Uganda commended the President for his continued expression of confidence and commitment to the national dialogue process. “The National Dialogue is a full reflection of our collective voice as a people. The National Dialogue Process is, therefore, an all-inclusive citizen-led platform where Ugandans can talk to each other and share aspirations of Uganda that we want to see fit ourselves and generations yet to come,” he said. Sheikh Shaban Mubajje said that the dialogue agenda had been categorized into 8 themes, namely National values consensus, National diversity consensus, National political consensus, consensus on constitutionalism and rule of law, national consensus on land, land justice and access to natural resources, National consensus on minimum standards of public service delivery, national consensus on the structure of the economy that works for every citizen and a national consensus on implementation modalities. Justice James Ogoola, Chairman of The Elders Forum of Uganda, said that the commissioning of the dialogue process was the first step aimed at cleansing the country’s history. “A healthy dose of dialogue is the healing of the divisions,” he said. The Prime Minister, Dr. Ruhakana Rugunda, noted that inspite of the problems the country faces today, it was important to recognize achievements that have been scored in the past 32 years that have seen a very significant transformation of the country. “Peace and security that eluded Uganda for long, was restored and the national economy that was in shambles, is now growing at 6% annually,” he noted. The Uganda National Dialogue Process is a citizen-led, all-inclusive non-partisan platform that seeks to mobilize and ensure the full participation of all citizens in pursuing the vision of a just and morally upright society founded on socio-economic justice, shared prosperity, popular governance and respect for the rule of law. It was convened by the government in partnership with the citizens of Uganda as represented by the working group of six organizations: IRCU, TEFU, Inter-Party Organization for Democracy (IPOD), Citizens’ Coalition for Electoral Democracy in Uganda (CCEDU), Women Situation Room (WSR) and National Consultative Forum (NCF). The Uganda National Dialogue Process shall be conducted in several phases building on the ongoing informal consultation phase that shall last until the formal launch of national dialogue process to take place not later than March 31, 2019. The national team of the Uganda National Dialogue Process shall be comprised of: representatives of the Government of Uganda, Government Chief Whip, Leader of Opposition in Parliament, the Elders’ Forum, IRCU, NCF, WSR, CCEDU and IPOD and Secretary Generals of all Parties represented in Parliament. IRCU and TEFU shall be the co-chairs of the Uganda National Dialogue Coordinating Team. The National Dialogue Plenary and the National Conference shall be chaired by two persons agreed upon by the Uganda National Dialogue Coordinating Team.